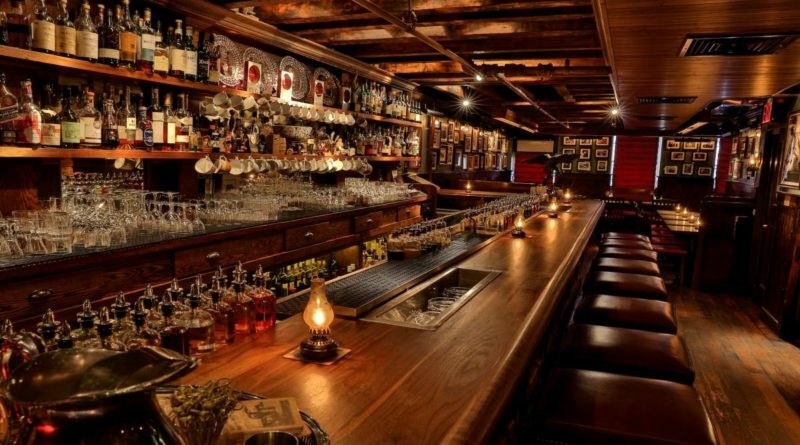 Opening a bar is a dream for many and can be an incredibly exciting experience. However, it means a lot of hard work, sacrifice and extra effort. You will need to give up weekends, vacations, learn how to deal with all sorts of people, in all sorts of states, and above all you will need to know your competition and have a clear and simple vision of exactly what it is you are trying to accomplish. Here are 10 things you need to know before opening the doors to your fine establishment. Every great bar, pub, or club has a strong theme. What will yours be? Don’t take shortcuts and open an ambiguous venue that people leave and don’t remember because it’s basically the same as any run of the mill bar they’ve been to. Get creative, find an interesting theme and navigate your product, uniform, design choices, and bar supplies around it. It’s rare for a new bar to open its doors and be packed out every night for a long period of time. You will likely (hopefully) experience a high surge when you first open of people excited about a new venue and wanting to check out what it is you have to offer. Put the time and effort into raising anticipation for your first night so that you can enjoy a grand opening. But also realise that this period will end. The novelty will wear off and before too long you will just be another bar amongst many, where you go from here and how you maintain a steady customer base will prove your longevity. What Bar is Your Bar? This depends a lot on location and the demographic living in the surrounding suburbs of that location. Your customers will have a big impact on making your bar what it is, so know who you are pitching to and how to meet their needs. Finding the right location for your bar might be the most important step, because it will feed into all other areas of your planning. Depending on the location, you may need to vary your approach and move away from your initial dream bar. Find the right place that fits your budget and then tailor your initial concepts to fit into that location. Are you opening a pub, club or cocktail bar? You can’t please everyone, so don’t try to. Define your target market, and then target that market! Specialty bars tend to be smaller and have a strong theme that attracts a certain type of person with certain interests. Don’t be afraid to go niche, just do your research and know your niche well enough to offer the best of that market. Don’t rush into it, plan every minute detail of your operation. Take the time to research and evaluate every aspect of your business. There will be bumps along the way and you will have to improvise to navigate those bumps, but the more planning you put into your business the less impact those little bumps and road blocks along the way will have. Once you have your location and your target market, then establish the name of your bar. Don’t try to fit your bar to suit a great name that your pal thought of, it likely won’t work. A name and logo go a long way in creating the success of your establishment to spend the time and money getting it right. Your staff will make your venue. Hospitality has a notoriously high turnover of staff, so don’t be too concerned about finding the right bar staff straight away. Instead, what you will need is a great, experienced, reliable manager to set things off right. If you’re doing the job yourself, then great, but be prepared to put in overtime on top of your overtime. Once you have a great manager then interview, trial, and search for great bartenders. They are the face of your business. Are you going to have a fully operational kitchen creating lunch and dinner meals or a limited bar snacks and share plates menu? This is an important factor in creating the style, theme and image of your bar. If you’re going to offer dining, find a great chef. Depending what type of venue you have, you are likely going to need security on your busy nights. Not all security companies and guards are created equal, so do your research and find a company that is going to give you value for money. You’re paying for an important service, make sure they provide that service. The most important thing is to take time in your preparation and don’t let your excitement rush you into making hasty choices. ← How Can A Small Business Appeal To A Wider Market?